Making users pay for online news content isn’t impossible – but remains difficult. 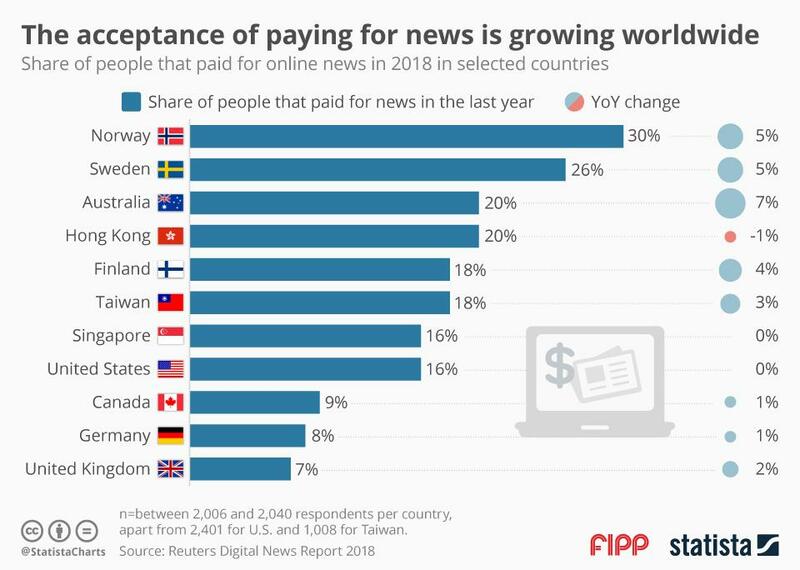 While many news outlets are still hesitant to charge their users, data compiled by the Reuters Institute for the Study of Journalism (RISJ) indicates that become more and more accepted globally. However, the willingness to pay for news differs by region. Whilst people in Nordic countries are highly interested in paid for subscriptions, the United Kingdom has the least penetration of online subscriptions and other forms of pay-to-view models.